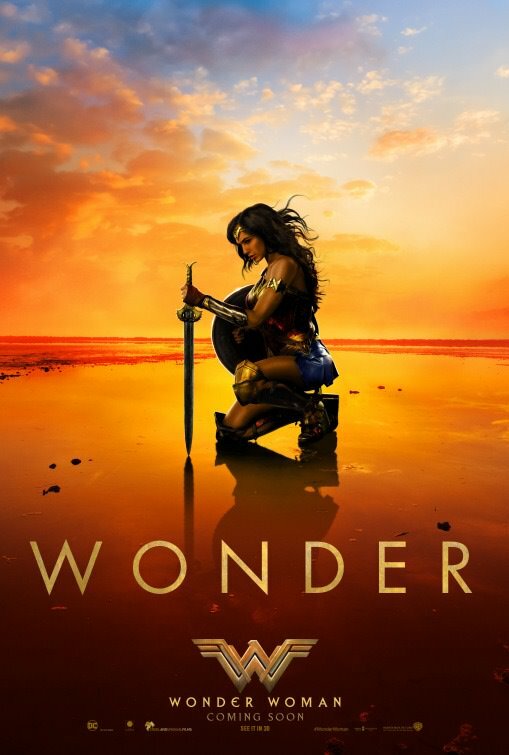 Monster director Patty Jenkins delivers a feminine superhero film with DC’s Wonder Woman featuring the beautiful Israeli actress Gal Gadot as Wonder Woman, Princess of the Amazons. Gal Gadot first appeared as Wonder Woman in the male-orientated film Batman v Superman and she certainly was no femme fatale, proving a viable counterpoint to Ben Affleck’s Batman. The first fifteen minutes of Woman Woman, there is no man in sight as the tribe of Amazonian female warriors live blissfully unaware of external strife on an island Themyscira. As a headstrong young woman, Diana (Wonder Woman) is heavily watched by her protective mother Hippolyta played by Danish beauty Connie Nielsen (Gladiator) while being influenced to train as a Amazonian warrior by her aunt Antiope played by Robin Wright soon to be seen in Blade Runner 2049. The idyllic exclusion of Themyscira is shattered when the young Diana sees a plane crash into the distant sea and jumps into the ocean saving the bewildered WWI pilot Steve Trevor wonderfully played with bashful humour by Chris Pine (Hell or High Water, Into the Woods). The action moves swiftly to the gritty battle lines of World War 1 as Britain and the allies are about to sign a shaky armistice with Germany. There Diana sees the brutality of man first hand and director Jenkins does not shy away from a valid point that men are the cause of all the wars and the subsequent destruction in the world. At this point, the audience assumes that the villain of Wonder Woman is the evil German officer Ludendorff played by Danny Huston (Hitchcock, Wrath of the Titans) who is developing chemical weapons with the help of poison specialist Dr Maru played by Elena Anaya. Diana and Steve form a band of mercenaries set on destroying Ludendorff made up of smooth talking Sameer played by French Moroccan star Said Taghmaoui, Scotsman Charlie played by Trainspotting’s Ewen Bremner and Red Indian chief played by Eugene Brave Rock. Serving as an origins story and since Wonder Woman is immortal, this is a snapshot of bravery at time when the World was fighting the War to end all wars, circa 1918. What Jenkins manages to do so brilliantly is defy the conventional roles woman play in superhero and adventure films by making the heroine the woman that boldly saves the day, instead of just portraying her as a helpless damsel in distress, leaving the men bewildered, confused and looking like idiots. 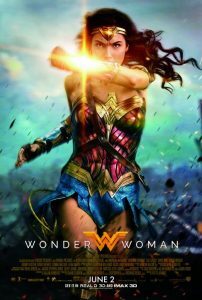 As a superhero film, Wonder Woman delivers on all fronts, including lots of humour, copious amounts of action, sufficient visual effects and a surprising plot denouement to keep audiences engaged. 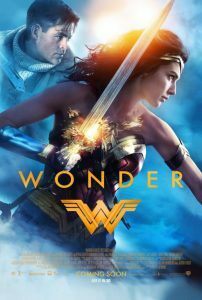 The strikingly gorgeous Gal Gadot holds her own in a big budget franchise film opposite a brilliant blue-eyed Chris Pine, while the period costumes by Lindy Hemming add to the effect of a superheroine stuck in the middle of an antiquated man-made war, which only leaves death and devastation in its wake. Wonder Woman gets a rating of 8 out of 10. Soon audiences will see more of Wonder Woman as Diana, Princess of the Amazons will next be seen in the highly anticipated Justice League opposite Batman and newcomer Aquaman.